Brendan Rodgers today reiterated his confidence Liverpool will respond in a positive manner to recent disappointments - insisting no-one within the camp is dwelling on an indifferent start to the season. The Reds were beaten 3-1 at West Ham United on Saturday evening, meaning they've won two and lost three of their opening five fixtures of the new Barclays Premier League campaign. Rodgers acknowledged immediately after the setback at Upton Park his side are yet to match the high standards they set themselves last season so far in 2014-15. However, with a Capital One Cup tie with Middlesbrough at Anfield to contest on Tuesday evening, Liverpool have an immediate chance to bounce back from their West Ham defeat - and the manager is optimistic they will do just that. Rodgers told a pre-match press conference: "Of course, you're not all smiles because when you lose games, it's not a feeling we've been used to a lot, especially in the last season or so. "But you have to refocus and you have to move on. That's the nature of this level at the top end. "Us as coaches and managers, we analyse the performance, and it's my job to ensure the confidence is retained within the group. "It hasn't been a great start by any means, but I have worked with the team enough and I know the players and how they do respond. That honesty in the group and how hard they want to work, it gives me great hope. "It is a long campaign and we've got a lot of games. As I said, we haven't made a great start by any means, but we'll improve. We've shown in my time here, my team will get better in the second half of the season. "We need to concentrate on the game tomorrow night. It's important for us and we want to get through. "We want to win a trophy this season - I said that early on in pre-season and that's still a key objective for us. This competition gives you the opportunity to do that." Rodgers believes the key to regaining form will be continuing the assiduous work on the Melwood training pitches coupled with retaining a belief this season can be a successful one for Liverpool. He continued: "As a team and a squad, we all respect that we can be much better. We're still looking to find our performance level, which apart from Tottenham we haven't quite been at. But it's something I have no doubt [about]. "We've been here before. When I first came in, there were a lot of games and new players coming in and, at that time, it was a new manager, but we eventually got to where we wanted to be. "It's a combination of continual hard work on the training field - working even harder - and looking to really ensure we retain that confidence. "And obviously cutting out mistakes. We've made mistakes in games, and we just need to make sure that under pressure - which you come under in games - you think clearly." Those errors Rodgers refers to have resulted in Liverpool conceding eight goals in their opening five Premier League contests. It's a statistic that naturally the boss feels can be improved upon - and he is unwavering in his conviction it will once a squad that currently has eight summer additions within it begins to adapt. 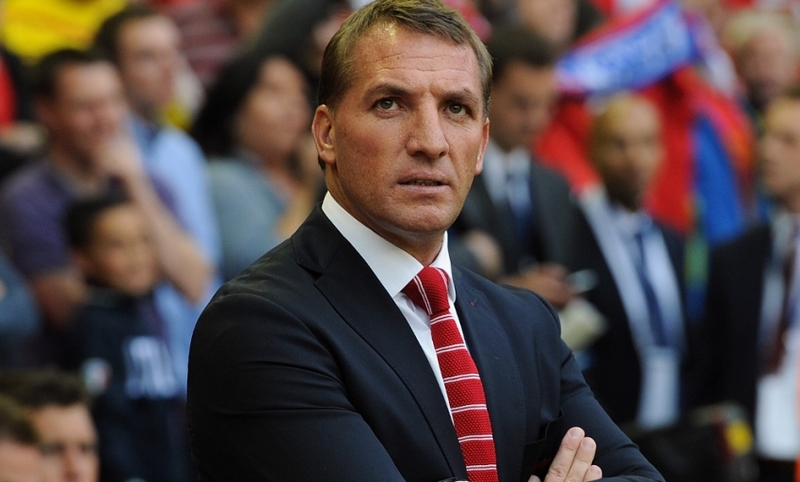 "We've conceded eight goals, and the majority of which could have been avoided," said Rodgers. "The weight of the jersey here, I said when I first came in, it's a heavy jersey for most players. That takes time. Once you adapt to playing for Liverpool, then of course you become that little bit more clear in your thinking. "For us, as a team we need to be better. We started poorly in the game at the weekend. You saw the results over the weekend, there are no easy games at this level. This league here, more than any league in European football, you will be tested physically and mentally at this level and you have to be able to be ready to fight that. "We got caught in those first seven minutes of the game [at West Ham] and ultimately it cost us. That's something we have to improve on and we must be better. "It's a very young group. We don't have too many really experienced players that have been coping at this level at this club for so many years. That adjustment takes a little bit of time. "Certainly as we make those adjustments, there are other things we can improve on." Rodgers added: "When you've got new players coming into the club, it's never easy. Even though that profile and type of player is very much suited to how we would work, there's the expectation of playing for a great club like Liverpool. "You add in the players that are out injured - those are the players that have been with us on the journey here for a couple of years. "So, if you roll all that into one, it makes it a wee bit unbalanced at the moment, but we will improve. There's no doubt about that and it's something that will happen over the course of the season." Middlesbrough will arrive at Anfield on Tuesday evening buoyed by a resounding 4-0 home success over Brentford. Rodgers feels the Championship side will prove a tough obstacle to navigate as Liverpool look to book a spot in the draw for round four. "I've always said this is an important game for us," he stated. "They're all big weeks for us at the moment. "I worry about how we play because I feel when we play well, we normally get the result. We just have to go back to working and moving the ball in the way we've done in the last 18 months - and on top of that, being really aggressive with our defending. We haven't defended well enough as a team. "Tomorrow night will be a tough game for us. Middlesbrough are coming off the back of a good result, they've won four of their last six games, so they'll be confident and come here wanting to do well. "For us, it's really about getting through to the next round."